A short-term international student from Korea came to Japan and started research activities for about two months. Our group member will give 3 oral and 3 poster presentations at Spring meeting of SCCJ 2019 in Tokyo. Prof. Nakai will give an invited talk at 35th Symposium on Chemical Kinetics and Dynamics. 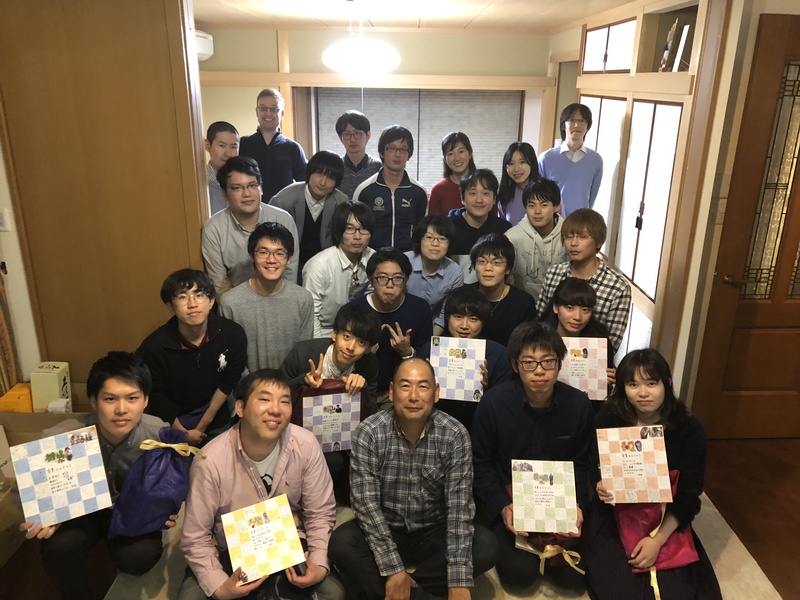 Lecture Title: "Theoretical Analyses of Condensed-Phase Chemical Reactions Based on Divide-and-Conquer Density-Functional Tight-Binding Molecular Dynamics (DC-DFTB-MD) Simulations"
6 Undergraduate students and 1 master's student joined Nakai's Research Group at the beginning of 2019 academic year. 1 Undergraduate student, 5 master's students, and 1 assistant professor left Nakai's Research Group at the end of 2018 academic year.